All ten schools across the Rivers CofE Academy Trust were invited to enter an 'Eco-School Competition' by designing an eco-friendly habitat or bird feeder, which will be placed in the new forest school area at the Trust's new school, North Worcester Primary Academy, when it opens in September. 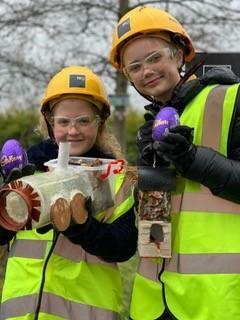 The competition was organised by ISG, the contractors building the new school, with prizes of £100, £50 and £25 being offered to the top three winning entries. 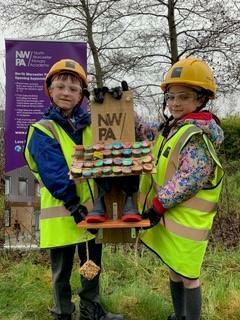 Burlish Park Primary School won first place with their fabulous hedgehog habitat, second place went to St Peter's Droitwich CofE Academy for their eco-bird feeder and third place went to Cutnall Green Primary School for their Hogwarts Express themed habitat. 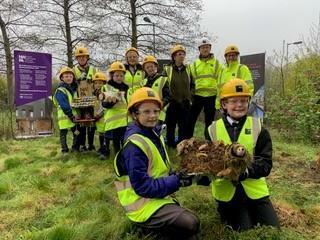 Kate Brunt, CEO of Rivers CofE Academy Trust said "It's fabulous to see children from across the Trust showing so much enthusiasm for nature and the environment. We hope that the new creations will encourage more wildlife to our beautiful forest school area. We are all so excited about the opening of the new school in September and to welcoming new pupils and parents to the Rivers family."